Historically, traditional Chinese medicine (TCM) has been known as one of the most advanced and experimental forms of medicine in the world. But as it is with everything, the “best medicine in the world” is an ever-changing definition. Now, ancient methods of medicine like traditional Chinese medicine have been integrated with western medical practices. While traditional Chinese medicine is no longer revered as the most technologically advanced form of medicine as it once was, it is, however, still important. Being that traditional Chinese medicine is a vast culmination of knowledge that can still be applied to parts of modern, or western, medicine, and its adaptability to modern cultures, traditional Chinese medicine has still secured its place in the world of modern medicine. How Is Traditional Chinese Medicine Consistent With Modern Medicine? 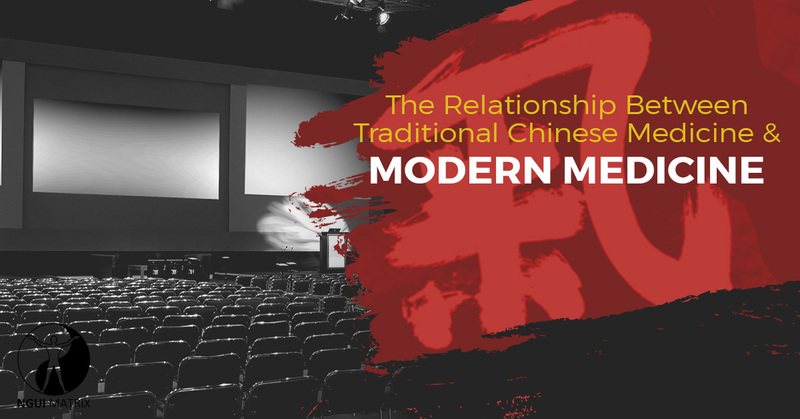 To first define how traditional Chinese medicine and modern medicine are similar, it is important to consider what modern medicine really is. Modern medicine, known better as western medicine, is the use of drugs, medicine, and surgery to treat patient symptoms. In China, western medicine was not introduced until the 16th century. While traditional Chinese medicine is complex in its own nature, it was not until it became used in conjunction with western medicine that it became the “traditional” Chinese medicine that we know today. Among the most common consistencies that traditional Chinese medicine with western medicine is the process of treatment. In traditional Chinese medicine, there are four core components that closely resemble western medicine. Auscultation & Olfaction – While it might seem a little similar to inspection, auscultation-olfaction is the observation of how the person being inspected is mentally and physically. Mentally, the clinician is looking for cues as to how the person responds to the conversation and what body language that they exhibit. Olfaction refers to the body’s smell, and what the body odor can suggest is occurring internally. Inquiry – Arguably the most consistent aspect of traditional Chinese medicine with western medicine is the inquiry phase — known in western medicine as the research phase. Inquiry and research are one of the most important phases of medicine, as it is the time where medical professionals can deliberate and find a treatment for the symptoms that have been discovered. Treatment – After the general inquiry has been made, it is time to prescribe a treatment. While the methodology of diagnosis and general inquiry are consistent between different medical methods, the methods of treatment are different. That being said, traditional Chinese medicine currently shares many similarities with western medicine that it did not in the 16th century when it was first introduced. As a natural medical professional with deep familial ties in traditional Chinese medicine, Grandmaster Stanley Ngui has a better idea than most of the deep ties and similarities that Chinese medicine and western medicine share. Because of this, he saw t fit to use his extensive knowledge to develop a treatment for one of the most common medical symptoms in the world — pain. The NGUI-MATRIX is a non-invasive and non-toxic pain management system that draws from both traditional Chinese medicine and western medicine. Why is this important? By combining elements of the two medicines, Grandmaster Stanley Ngui has been able to create a natural and effective treatment for both chronic and acute pains — allowing for clinicians like you to offer your patients an innovative new treatment regimen. So what are you waiting for? Learn more about the NGUI-MATRIX by visiting our website, or attending a speaking event near you.